Success! We managed to turn our 1,200 square foot home into a place for a family of four to live, work, and thrive. What the photos don’t show is our newborn making this room his temporary home (complete with a bassinet and sound machine). It's an adjustment, but we're making it work! 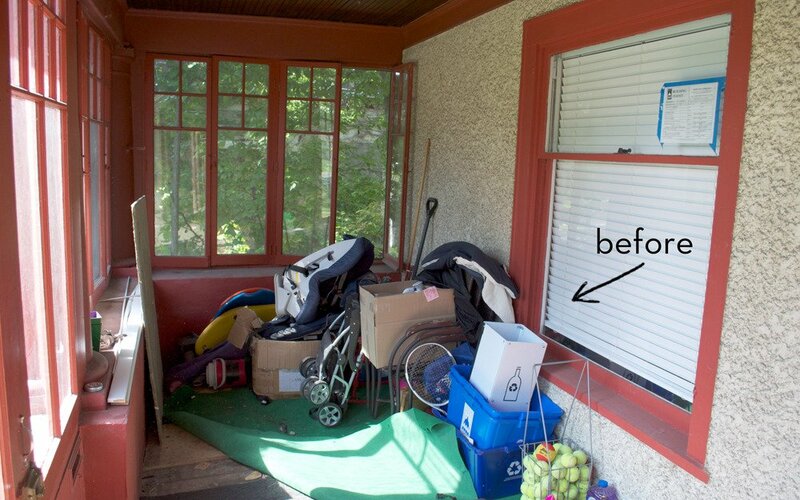 What's really put my mama-heart at ease has been the transformation of our forgotten sunroom. Turning it into a cozy, welcoming space for our newborn has allowed for an easier transition to our new life, and for our toddler to accept the fact that he is not an only child anymore. All this is thanks to a bit of paint from Sherwin-Williams. We say it every year – National Painting Week is our favorite week of the year, because the power of paint is never ending. Each year, Sherwin-Williams puts out the call to bloggers all over the country to refresh a space, change its perspective, or add more emotion through the transformative power of paint. Last year, we embarked on a community-based project, making over our beloved neighborhood preschool. Our neighborhood preschool is a goldmine of childhood magic. It's a special place that brings families together; an emblem of our community's commitment to children. This year, for National Painting Week, our friends at Sherwin-Williams encouraged us to seek out a community-based project. We were thrilled, because doing more of this sort of work has long been one of our goals. We instantly knew our beloved preschool would be the perfect candidate. The power of paint would be transformative, helping improve a space that does so much for children and families. Read on to hear all about it. I've said it before, and I'll say it again - National Painting Week is one of my favorite weeks of the year. Why, you ask? Because the power of paint in a room's transformation is astounding and I'll never tire of it. This year, we're participating in Sherwin-Williams National Painting Week and we're so excited to show you what we've got up our sleeves. National Painting Week might be our favorite week of the year - because the power of paint in a room's transformation is astounding and it never gets old. We're participating in Sherwin-Williams National Painting Week once again and we're delighted to be in the company of a group of beautiful bloggers to show off the power of paint. I recently bought a piece of furniture that was in need of a serious makeover. I got it for a steal, but I wasn't a big fan of the way it looked, so I decided if I stripped it down and repainted it, it had the potential to be the perfect side table. 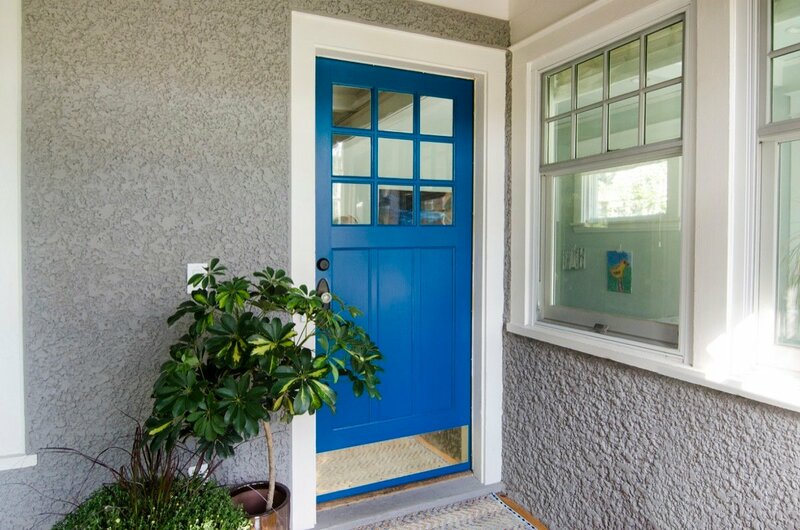 So I partnered with Sherwin-Williams, my favorite neighborhood paint store, to pick out paint colors and talk to an expert about what I would need for my project. I found this side table at a local consignment shop for $18. I'll admit, it wasn't much to look at, but I really loved the metal legs and the contrast of the wood top, so I brought it home with me and took a few photos with my phone. This year we're lucky to be a part of Sherwin-Williams National Painting Week! It's great fun joining a bunch of other awesome bloggers to show off the amazing impact paint has on a home. We're thrilled to be in the company of some of our favorite DIY and design bloggers, including Remodelaholic, Design Crush, Simply Grove, and House of Earnest.